It was yesterday while at school that it struck me how surrounded I am by different people. While my students put up what was perhaps the best assembly so far this year, I watched on like a proud class teacher would, and felt a connection with them for the first time I think. They picked the very apt, very relatable, very important topic “self-acceptance” and delivered a marvellous job which only spoke to hard work, effort, and a great connection with the subject. As the audience stood in rapt attention lapping up all they had to offer, my kids ladled praises that came their way. Much deserved and worthy of bragging, most definitely. I’m not a very social person or a very open person. My walls are high, my boundaries very marked. I don’t cross lines and no one crosses mine; not beyond a point i.e. But I’ve been noticing this uncanny phenomenon which has been happening off late that can only be attributed to kids and their ability, to either lovingly or annoyingly, gnaw their way into a person’s heart. I’ve a varied bunch of kids from all walks of life – they’re all amazing in their own way, and equally challenging to handle. They’ve slowly but surely started inching closer towards me, and I towards them. Professionally, of course. And somewhere in this entire process I’m reminded about just how many variant vibes I’m surrounded by – happy, jovial, youthful, energetic, humourous, beautiful vibes. I’ve been having conversations with myself, telling myself good things, even. Opening up to these youngsters all around me has helped me take these little conversations to another level; to open my eyes and see that there’s so much good energy all around me to sponge off from, to give to, to engage with. Ever since I got here, I’ve experienced a series of unexpected joys. As I was very matter-of-factly walking towards the bus shuttle after exiting the airport, I chanced upon the first bus in line, which was relatively empty, that I decided to get home by. On approaching the bus, there she was sitting right in the front seat in direct sight – my first ever psychology teacher from back in the day. One really finds it difficult to sum up all the feelings that bubble and gurgle within you…a fine blend of shock, excitement, confusion, joy, thrill, all woven into a fabric of beautiful memories put together. We couldn’t believe our chance meeting – on a bus out of so many buses, at an airport of all places; and after what’s soon going to be 15 years. Of course this count was meant to highlight just how long it’s been, except it also reminds me just how long ago I finished my 10th board exams. It goes without saying that we spent the rest of the bus ride seated next to each other, sharing titbits from our life and experiences, and how the journey has been so far. To say that the ride was too short would fall short of how I felt; where’s that traffic jam when you really need it?! In-keeping with this, and as if I hadn’t walked back in time enough, I passed my school during functional school hours yesterday for the first time since I’d left it. As I drove past it, I couldn’t resist the urge to get off the car and walk right in, to just perhaps see if I could meet the teachers I’d once spent every single day of my life with. And I did. 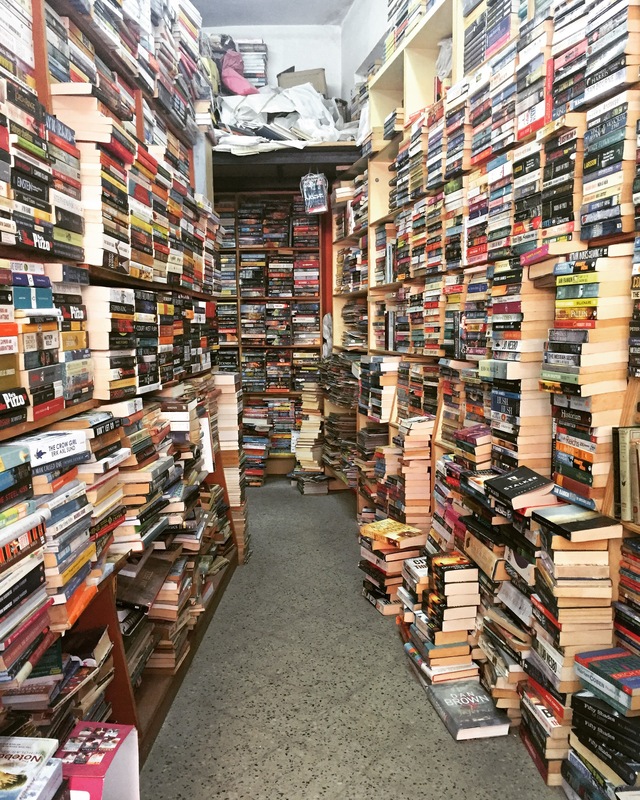 I still cannot describe the feeling; perhaps the connections run so deep that they’ve remained embedded somewhere within me in a place that’s hard to access. Time really isn’t enough when you’re walking down memory lane. Sometimes words aren’t, either. It’s a strange feeling, this. There’s always been an indefinable friction within me to go back to where I came from. Notwithstanding the trying times that they were, and not discounting the amazing things that were also happening back then, it really isn’t a road I like to walk down. Things change, people change, everything changes. Apart from this insecurity of not being remembered or being acknowledged like you perhaps once were, it’s this strange tug of war stepping back in time versus watching your memories from the safety of disconnected distance. As I walked away from these two episodes, it only reminded me that as the years pile up, so do our own thoughts and perceptions of the whats and hows. To say I didn’t take away so much from these experiences and in turn give so much to these experiences as well, would negate the actual power of reminiscence, time, and life itself. b) being robbed of a Saturday, irrespective of how long or short the duration of one’s workday is. The past week has made me realise what kinda newbie I am, all over again. Sometimes I wish there was a team of newbies, so we were all new and in it together, and when I recall what it actually felt like to be a newbie in a newbie team of newbies sometime ago, I realise it’s time to experience something new. Either way, it wouldn’t have made a significant difference to be honest, because I am a loner. I find solace in my own company, and if that becomes too stale, I relax in the comfort of a cup of tea or coffee. Today it was a double coffee, to go, while I mulled over just how blah and banal I was feeling, in general. Maybe it’s the sneaky doing of a cloud that’s hovering annoyingly over my head; because this mood’s been prowling around me and spoiling my aura (for dramatic fx) for two days now. A lot of me wants to just sleep. A lot of me wants to just burst this stupid cloud and dispose off it immediately. So, finding solace in the swirls of my bevvy has made me actually succumb to the fact that I am, in fact, not a sociable newbie. Actually, let’s make that not a sociable anything at all. But I’m trying, because I want to. Trying because while that cup of tea is helpful, it’ll only get me so far. Trying because I’ve hidden enough and more behind the safe labels of being more of an introvert than an extrovert. Also trying because if I don’t, no one else will. The results have been noticeable as I make efforts to hold a comfortable, confident demeanour even though I might sometimes be breaking into an uncomfortable sweat within. It’s a new place, a new culture, a new environment, a new everything. It is, in fact, the first time I’ve ever really spoken to or interacted with people who do not live in Bangalore. Sometimes it’s intimidating, sometimes it’s easier than I imagined it to be. People are being overwhelmingly kind, which I’m grateful for. Perhaps they can see through this “strong” facade and realise just how much help I really need. Haha! There will be highs, there will be lows, and there will be everything we imagine and don’t imagine. But I guess, that’s just a universal thing, and it’s not going to stop me from trying. Sufficiently hard enough. Through all the changes, here’s my toast. While 50 is not much, I think it’s deserving of some special attention, even if it’s with something small. A lot has changed since I first sunk my teeth into these smilies back in 2006/2007 (I can’t remember). Then I was a student, now I sometimes wish I was. Then I thought twice about ordering a plate all for myself, now I can’t do without sharing them for old time’s sake. 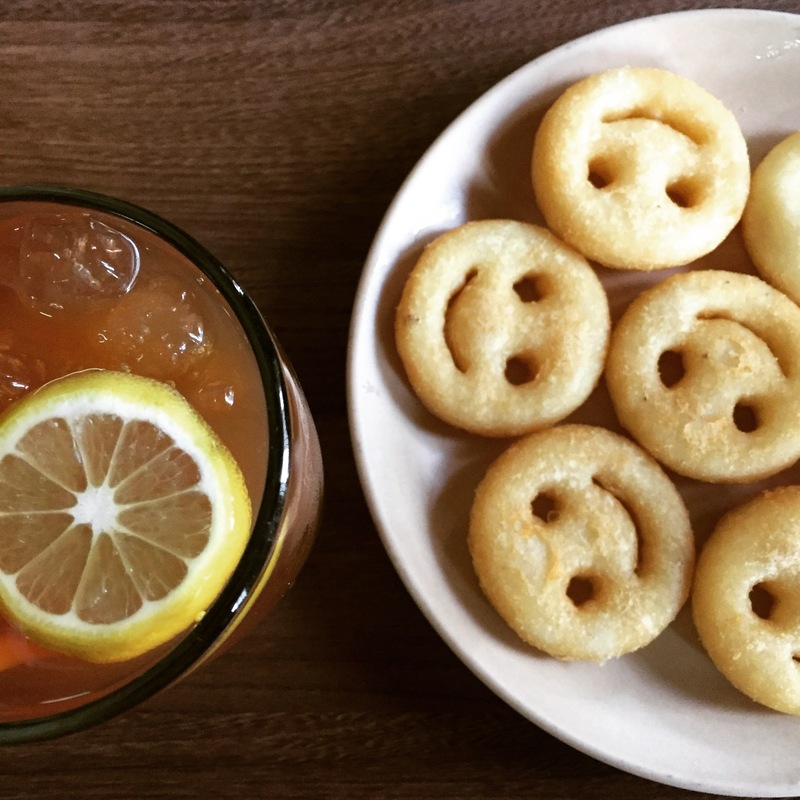 Then it was coffee and smilies, now it’s rum iced tea and smilies. Then they were shared over project discussions, now they’re downed over reminisces and current stressors. Then we’d wait for money to decide our next meeting, and now we wait for time to be kind. It so often happens that life decides to pepper one’s routine with comic relief. A lot of it comes at the cost of my own faculties and stupidities. Most often they aren’t funny in the moment, instead just immensely vexing and irritating. However, in retrospect, some of them turn out to be good laughs, while some of them, as you will read, remain downright embarrassing. There are many to my credit, and the list only seem to be growing at a ferocious rate. It only makes sense to note them down here, because there are too many, too often. And the speed at which my forgetfulness is roaring forward makes this a good place to pen them down and revisit, when I want to have a laugh at my own self. Leaving my phone to charge for hours, without turning the plug’s switch on. Turning the kettle on, with the plug of the toaster inserted in, instead. Similarly, switching the oven on, with the plug of the toaster inserted in, again! The thing with ovens are that their timers get activated even when the power’s off. Forgetting that I’ve left water to boil, despite waltzing in and out of the kitchen numerous times, oftentimes even wondering what it was that I was performing said waltz via the kitchen for. Starting the laundry cycle on, and with full confidence, minus adding any detergent in the detergent pocket of the machine. Finding clothes that needed washing halfway past the laundry cycle. UGH! To go a step further, I even forget that I’ve washed clothes and they’re left lying in the machine. This happens especially when I try to be efficient and get laundry done early so that they get extra sun time on gloomy, overcast days. The disappointment and vexation, I tell you! Forgetting to keep the towel in the bathroom during bath time, especially when I’m either ready to step into the shower and/or have just stepped out of the shower! The irritation is twofold if it’s on a cold day. Snuggling into bed on a cold day only to realise that I’ve left my bottle of water far away from my bedside table, where it ought to be. You can easily also replace this water bottle with medicines, books, and whatever else it is that one keeps at their bedside table. Looking for my specs, when they’re *waitforit* right on my nose. Consequently, spending stupid amounts of time looking for things that are also, right under my nose. Keeping things so safely that they’re never to be found again, especially when I need them. Forgetting my shopping bags when I’ve stepped out to shop for vegetables particularly. Each vegetable bag costs a hurtful pinch of thirty freakin bucks! The worst and most embarrassing blooper I’ve ever had in recent times, and in the prestigious company of my husband was when I went all the way to the bank to withdraw cash without knowing what my account number was. It was just after the demonetisation drive began, where ATMs weren’t working and one had to rely on cheques and stand in serpentine queues. That was a nasty funny one I played on myself and my ego! Haha! Secondly, I haven’t watched Obama’s swan song even though it obviously went viral even before I got out of bed yesterday (BBC pinged me to say his speech was commencing just when I was walking towards the exit door from my land of dreams). It goes without saying that I do, indeed, want to dive into that tearjerker, and will eventually get myself to do so, but maybe when I’m more ready for it. However, even before all that, this guy has given me some serious, and I mean very serious, expectation issues from men, and husband to be specific. There does lie this eternal hope to maybe one day get this same, if not similar gratitude from my man in front of all and sundry. Hahaha! Well, we’re all allowed to dream, aren’t we? But seriously, that couple has given me, and most of the world I’m sure, some solid relationship goals. SOLID. But here’s the nuance that I have to look into and consider wholeheartedly before I can even begin to harbour such dreams and expectations – and that is this one very crucial line he mentioned in his thanksgiving to his wife and family – “you took on a role you didn’t ask for, and made it your own with grace and grit and style and good humour.” Here’s that crux, that commitment, that compromise if you will, that’s sort of really made all the difference, no? And it makes the latent feminist in me keep quiet, and be still. It was sometime back when my aunt very matter-of-factly and breezily called me a feminist. I don’t like that term, and neither do I like to associate my self with extremities in thought or action. It took me a little by surprise, and I won’t deny feeling a little proud of myself. Something that was sent my way as less of a compliment and as more of a fact to give me insight, did make my heart swell, to be honest. But that’s the thing I have with this thinking or terminology – I find it incomparably rigid, suffocating, and very binding; no matter how that jibe did indeed make me feel. When I look at Michelle Obama, whom I do consider such a role model on many a front, there isn’t an ounce on her person or thought which speaks against standing up for oneself, or doing the things they believe in. However, she seems to have in her, the grace, strength, courage, and resilience to accept her circumstances and pave her path with all that she has. And that’s a remarkable quality I only wish I could have. It doesn’t involve screaming from rooftops about name changes post marriage, childbirth or bearing, or even something as overwhelming as stepping aside (a little or a lot) to find a new way forward. Generations of women have done exactly this, and I find it debilitating and often rude to label their silence or their choices as weak and spineless. Of course there’s a difference between most, if not all Indian men, and Barrack Obama. And there’s a huge difference in all that we see, and all that really happens. But then again, I really wonder if a global mic to say thank you, is what drives or validates the beautiful strength, that is Michelle Obama’s personality and character. These are path-altering considerations for me to reflect on and pave my own journey with. Perhaps this is what, I think, real role models do, and I’m so thankful to have examples like these all around me.